Most homeowners in St. Louis, Missouri are aware of the major advantages of owning a water conditioner. Fewer water stains, cleaner laundry, and longer-lasting water-using appliances, just to name a few. 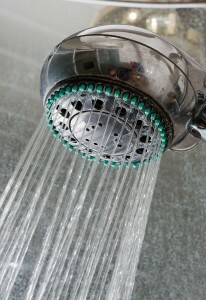 But, did you know a water conditioner may also help alleviate dry, irritated skin? It’s true. Conditioned water is free of harsh hardness minerals like magnesium and calcium. Without a water conditioner, these minerals combine with soaps to create a film that clings to skin. This film triggers a drying effect that may cause skin irritation, and can even settle into pores on delicate facial skin and prompt breakouts. Furthermore, hardness minerals prevent soaps from properly lathering and cleaning, so you may not be getting the most out of your favorite body washes and facial cleansers if your home’s water is not conditioned. Possible skin-saving solutions include using bottled water to clean skin, taking shorter showers to decrease exposure to hard water, or using a minimal amount of soap when bathing. Or, you can contact a St. Louis, MO, water treatment professional to install a whole house water conditioner system. By doing so, you’ll have access to an unlimited supply of soft water at the turn of a faucet that’s better suited for your sensitive skin. If you’ve grown tired of splurging on pricey lotions and cleansers to combat your dry, irritated skin, turn to the professionals at RainSoft. We’ve developed innovative home water treatment solutions, including water conditioner systems, since 1953. When you choose RainSoft, you’ll receive an expertly-made product that’s assembled in the USA and comes backed with a Limited Lifetime Warranty. Contact your local authorized RainSoft dealer in St. Louis, MO, to receive more information.